My Favorite Person came home at 11:30 am having seen half of Rome and I must confess I was still in bed. I'm going to blame it on jet lag even though you may indeed know me better than that! 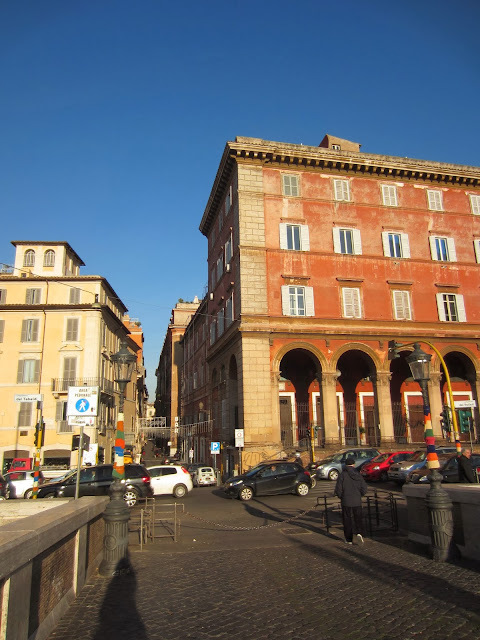 I was shamed into leaping up and proving I could navigate the city too, which led to a three hour tramp around the Campo die Fiori. While I'm slothful at heart I can show initiative when I really have to! In a bid to kill two birds with one stone I decided to use another of the four walking tour books to demonstrate once again that it was worth bringing and buying all of them! This time I used Anya Shetterly's Rome Walks in the Harry Holt Walks Series. The most recent edition is almost twenty years old (pub. 1994) but so far it's my favorite of the books we brought. 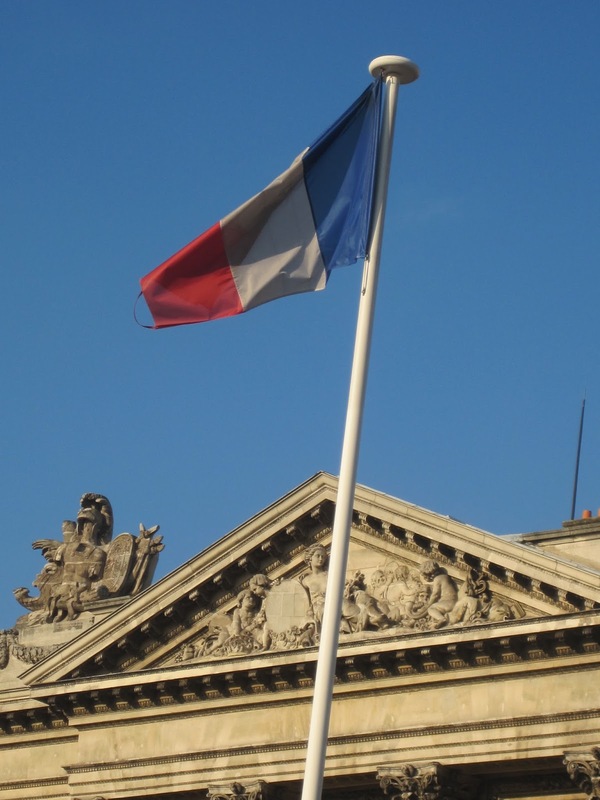 This is a really detailed walking guide with extensive historical information. There are only five walks in the whole book and over 65 pages on the area around the Camp die Fiori entitled, "Streets of the Papacy." The walk started on the Ponte Sisto, the pedestrian bridge linking the Campo die Fiori with Tiber Island. 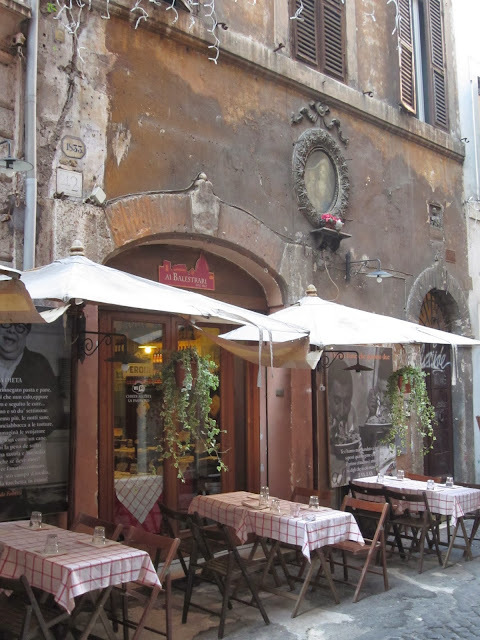 This starting point was the perfect place for a discussion of the collapse of Rome and how the city was gradually revived under the patronage of a series of Popes. In the middle of the Eighth Century the King of the Franks granted the city to the Papal Court, but to give you some idea of the demise of Rome, it had shrunk from a city of almost a million in the Roman period to a city of as few as 17,000 in 1400. 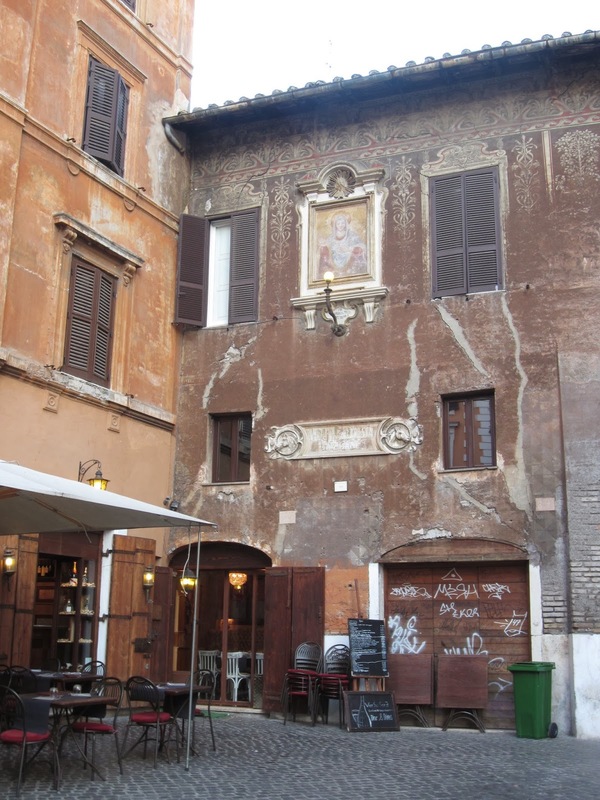 The reestablishment of the papal seat in Rome in 1417 marks the gradual rebirth of the city as the Popes, Cardinals and their families sought to leave there own imprint on the city which became an embodiment of the power of the Catholic church. The bridge was built by Pope Sixtus IV in preparation for the Jubilee year of 1475. 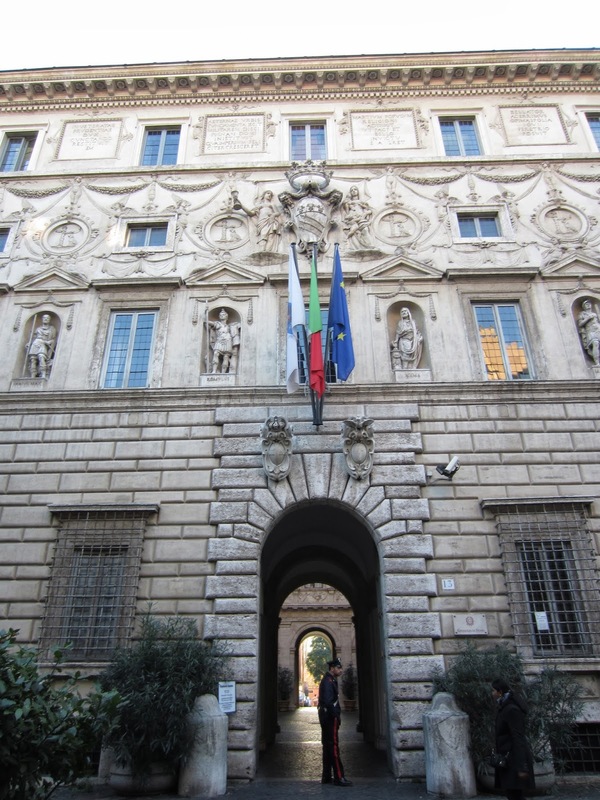 While I love the elaborate palazzo with their architectural details and elaborate family histories blending scandal, avarice Popes, Cardinals and aristocrats, I also like the more mundane insights into history you can see on the street. 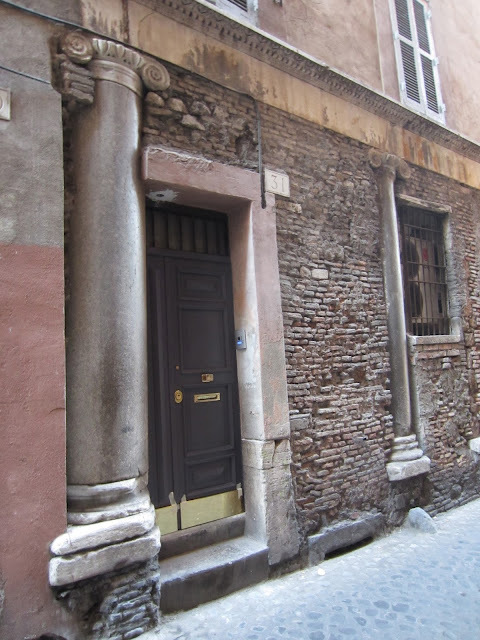 I was particularly struck by this structure which I walked past without noticing until the book sent me searching for Via Capo di Ferro 31, see below. This medieval house originally had an open portico supported by four Roman pillars (yes, only four are visible in the photo) which were clearly taken from another site. However, an edict from the same Pope who built the bridge, decreed in 1475 that all porticos had to be closed to reduce the hiding places for rebels and thieves. You you can see the inelegant results below. 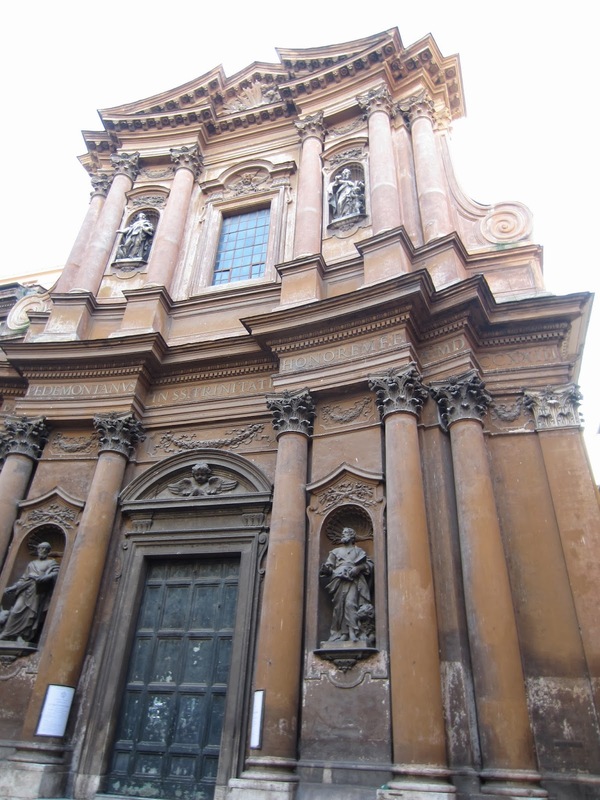 In contrast, and on the same street, is Borromini's magnificent and elegant Palazzo Spada designed around 1635. As you can see below, this is a spectacular building, with extraordinary detail and decoration. Apparently the original owner did not want the others to see who was coming and going from the Palazzo and had the neighboring buildings constructed with faux windows to prevent any prying eyes. Consequently the facing building has a very solid character though contemporary residents have opened up a window or two. You can see the real and faux windows below. 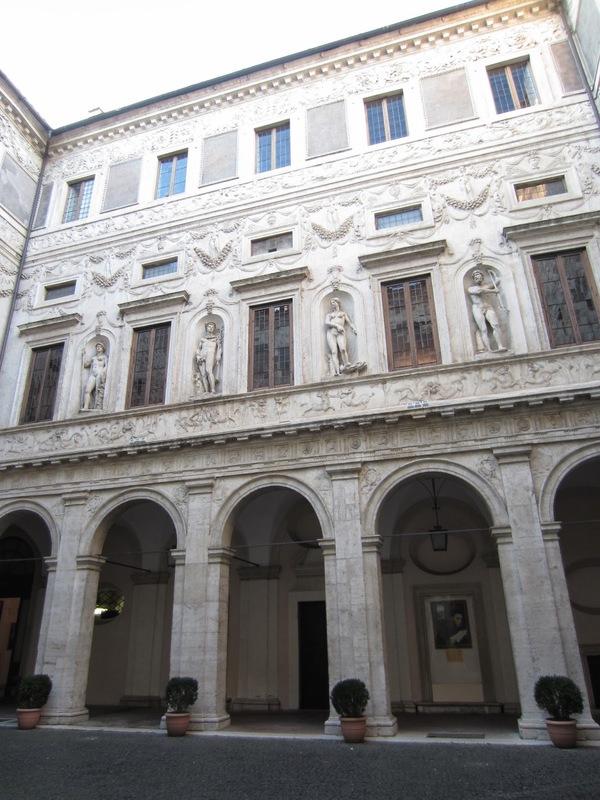 The interior of the Palazzo is equally glamorous with a great deal of carved decoration popular in the later Renaissance My guidebook tells me most of this work is by Giulio Mazzoni, he was certainly very busy and had an excellent line in Roman gods and muscular naked men! On the ground floor there is an elegant colonnade and because this is Rome there are cars parked in the central courtyard, ruining the beautiful architectural symmetry! The Galleria Spada is open to visitors and I'll be going back so that will be covered in another post. 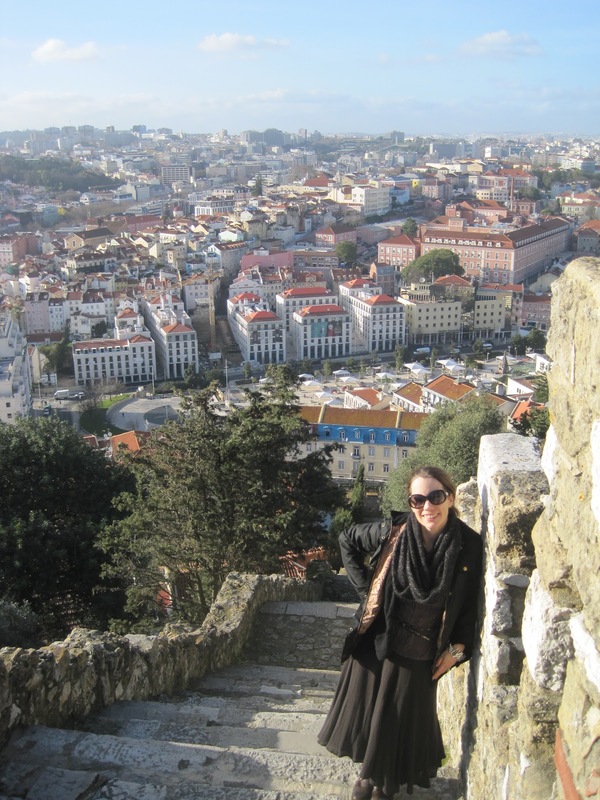 What is wonderful about this quarter is the sheer variety of architectural styles from the Medieval streets to Renaissance and Baroque churches and palazzos. 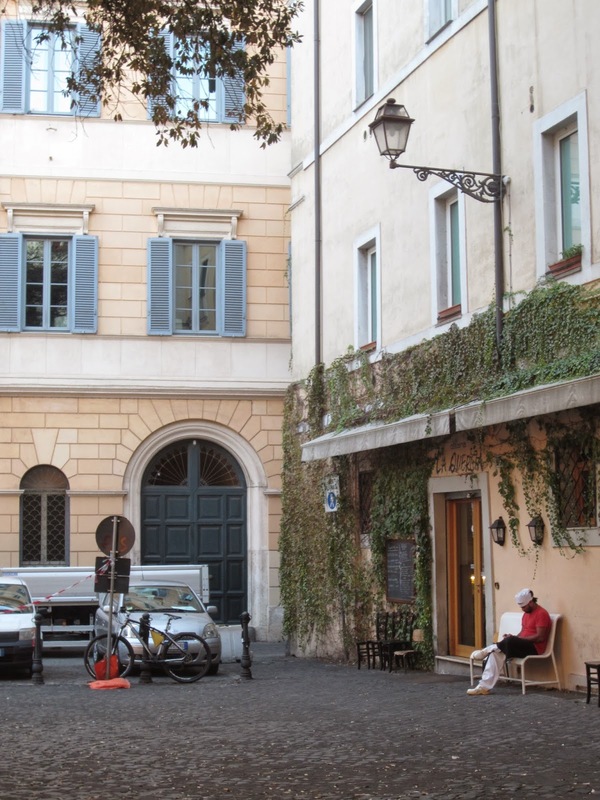 There are areas buzzing with activity like the market on the square or small backstreets filled with furniture restoration shops, but there are also small quiet squares where you can escape the chaos too. When I'm walking just to enjoy a city I try to look up and not just to avoid falling pianos, as in a cartoon! 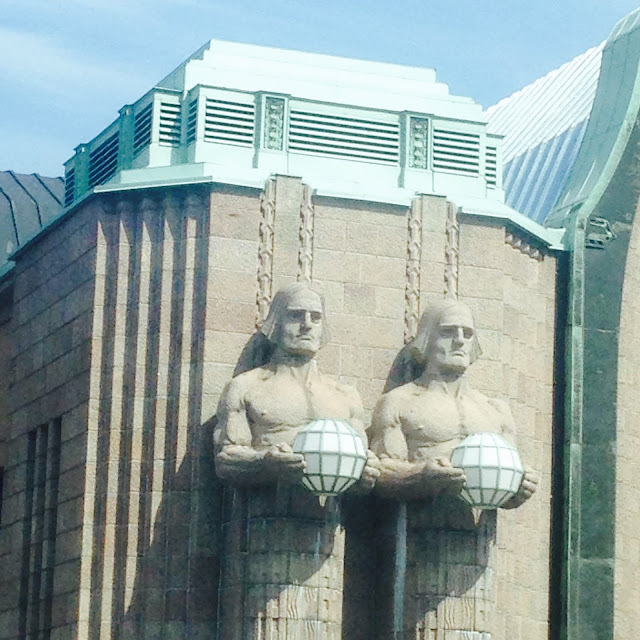 Often architectural details and other curiosities lie above our habitual line of sight. 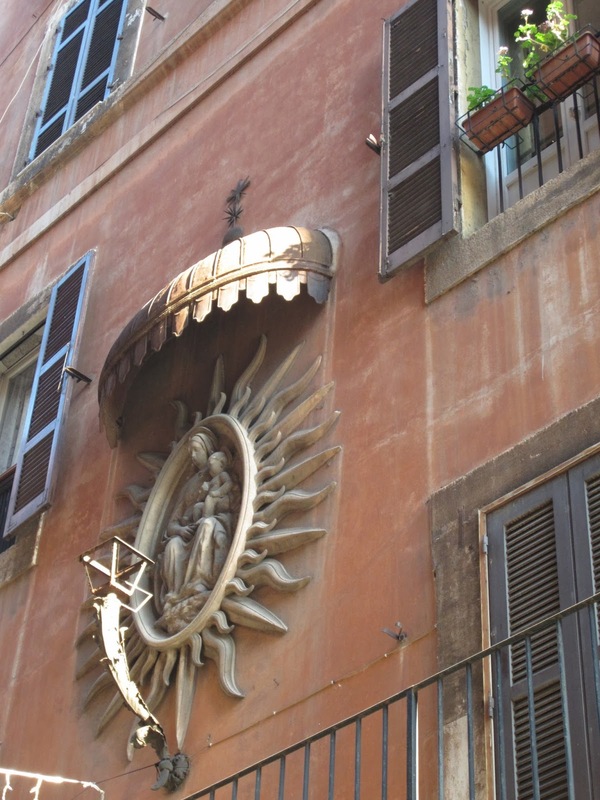 In Rome you'll often see painted decoration, devotional plaques, statues or pictures of the Virgin known as edicola on the side of the building, see above and below. The walk took me through the Campo die Fiori at it's least attractive time of day, when the market is being cleared and it's filled with noisy street cleaning machines and workers breaking down the stalls and packing up the produce. I was fascinated to read that the Campo had been a site for public executions and that the statue in the center remember Giordano Bruno who was burnt as a heretic for following Copernicus' view that the earth orbited the sun. Apparently this is one of the few places in the city with such a reminder of the inquisition Just a short distance off the square was another impressive building, the Palazzo della Cancelleria with a beautiful internal courtyard, a prime example of early Renaissance beauty, form and symmetry . From here I walked on through a variety of narrow medieval streets and down toward Via Guilia, past Palazzi and churches many of which had foreign connections. The Campo has been an area that attracted foreigners for hundreds of years. 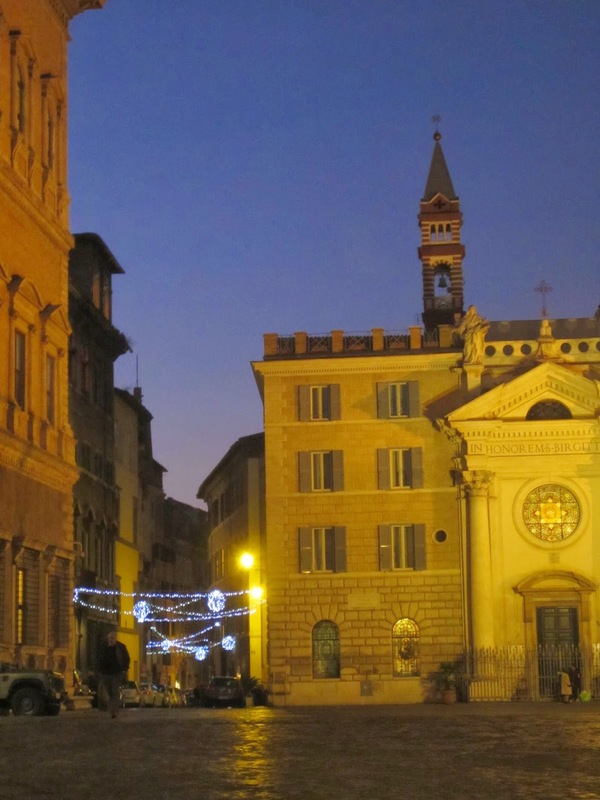 The tour ended at the Piazza Farnese which was lit up at night. 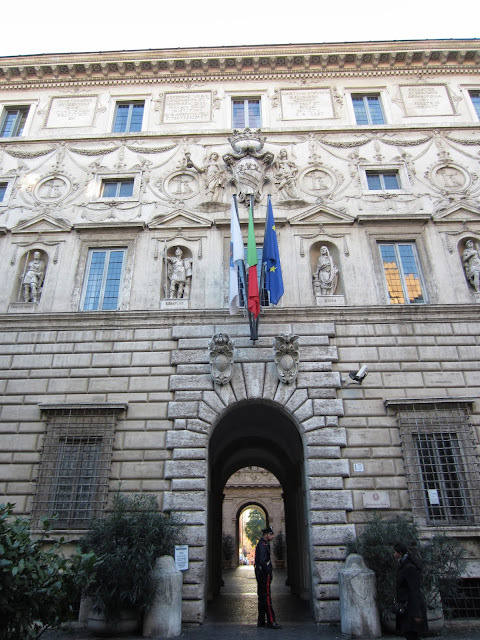 The square is dominated by the largest palazzo in Rome the Palazzo Farnese which is now the French Embassy, the French flag on the front is the clue. 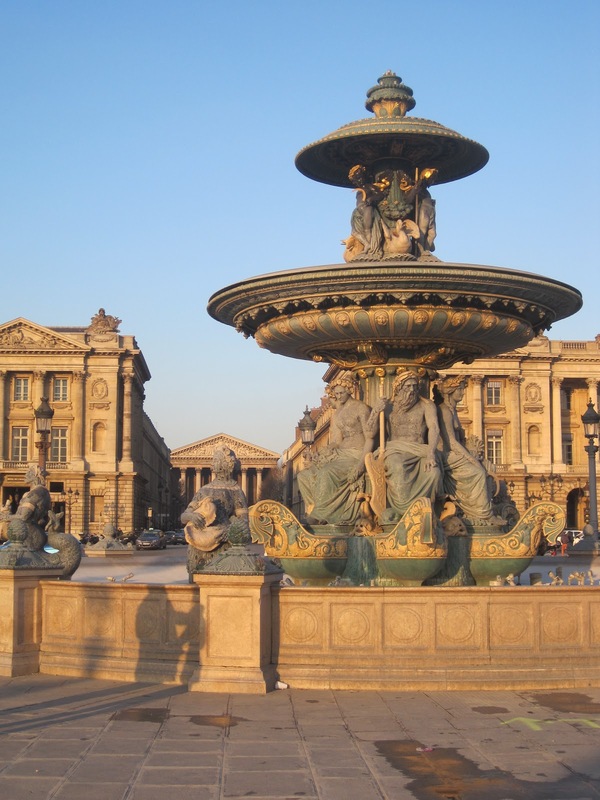 The enormous fountains are also memorable and are apparently called the Farnese bathtubs! 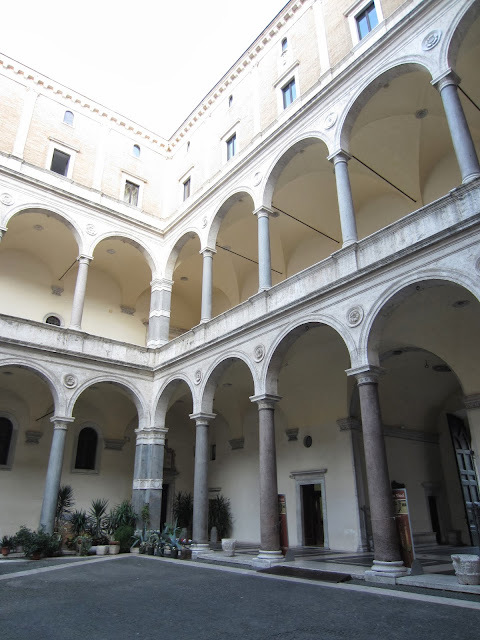 I'll be writing much more about Palazzo Farnese (which you can see on the far left of the image below) as we have reservations for their English tour next week. It was a lovely walk, but because there was so much to read in the guidebook and because I made such a late start, it was dark when I finished the tour. I called D and we met up, sat down in an outdoor cafe under a heat lamp and took it all in, fabulous!